Hitting that century mark or even living well into our nineties is hard to fathom––so much so, that a lot of us are guilty of just ignoring the “what ifs” of making it that far in life. However, for women, facts show that we ARE living longer and longer. 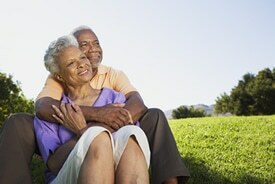 This is great news but living longer may create some pretty severe financial challenges. It’s a smart idea to put a solid long-term care plan in place, either by saving for it or through insurance planning … the sooner, the better. One thing to consider is long term care (LTC) insurance, which is designed to pay for medical and non-medical expenses for individuals suffering chronic illness, disability, or simply the ravages of old age. It’s important to know that Medicare does not cover the personal needs (also known as custodial care) side of things (help with dressing, bathing, using the bathroom). Long-term care insurance takes care of both health and personal needs. Therefore, LTC can make sense as a supplemental insurance to cover daily care if you need help as you age. You may see buying LTC now as an added expense that you just don’t need to incur right now, when you’re young and spry. But, if you consider the average annual cost of elder care, you may rethink the (much) smaller annual premium involved in owning a LTC policy. These costs are in TODAY’s dollars. With the average stay in a nursing home coming in at around 3 years, the average cost per person is around $241,219. This theoretically could become the greatest financial risk of your life. Of the elderly living in poverty, 3 out of 4 are WOMEN (Morningstar Fund Investor) and 80% of these women were not poor when their husbands were alive!! Some statistics say women are outliving men even by 15 years. He’s planning to live to 80, but is your husband planning on you living until 95? It’s unforeseeable what your nursing home and assisted living costs may be…we’d all like to hope that this is something we’ll never face. But, the facts aren’t on our side. Planning for it now, rather than later, is simply a wise thing to do.